Our neurological physiotherapy and rehabilitation services are most suitable for patients who are ambulatory (able to walk) and who wish to improve their mobility and daily function. Have a question about how we can help, or just looking for some advice? Feel free to email our Clinic Director Lindsay Davey directly at lindsay@torontophysiotherapy.ca. She will be happy to answer your questions and help you determine if we are the right fit for your specific neurological rehabilitation needs. Our services may be covered under employee extended health insurance benefits or motor vehicle accident insurance. Our receipts also qualify as a tax deductible medical expense on your tax return. Rehabilitation at Toronto Physiotherapy is designed to address each individual’s unique impairments in order to maximize physical function and independence. With a selection of specialized equipment including the first AlterG Treadmill in Toronto (located at our Danforth clinic), we can address a wide range of neurological physiotherapy needs. Toronto Physiotherapy can act as your in-clinic neurological rehabilitation provider, or if your needs are more acute, we can help you in the comfort of your home. Our home care physiotherapy team includes therapists with a wide range of neurological rehabilitation experience. Learn more about home care neurological rehabilitation. The AlterG uses differential air pressure to precisely control body weight in 1% increments, in a supported environment, while encouraging normal gait. Promotes neuromuscular and proprioceptive re-training, and brain plasticity. Enhances balance and confidence while encouraging improved gait and stride length. Enables higher work load and training intensity for gait re-training and cardiovascular fitness. Provides a safe environment for multi-task functional training and learning. Provide one-on-one rehabilitation (we do not treat multiple patients at a time, nor do we use support staff in your therapy). Use evidenced-based neurological physiotherapy approaches, and create individualized exercise therapy programs to reflect each patient’s unique needs, abilities and goals. Treat in private physiotherapy rooms rather than strictly in an open gym (although we have those too). Can provide neurological rehabilitation services in the comfort of your home if necessary. Do not require a doctor referral (but can work closely with your physician and other care providers). Treat in modern and inviting physiotherapy clinics. Our clinics are best suited to patients who are independently ambulatory. Our Summerhill clinic is accessible by elevator, and our Danforth clinic is accessible by stair lift. If you would like more information about our services please give us a call, or email a physiotherapist with your questions at info@torontophysiotherapy.ca. 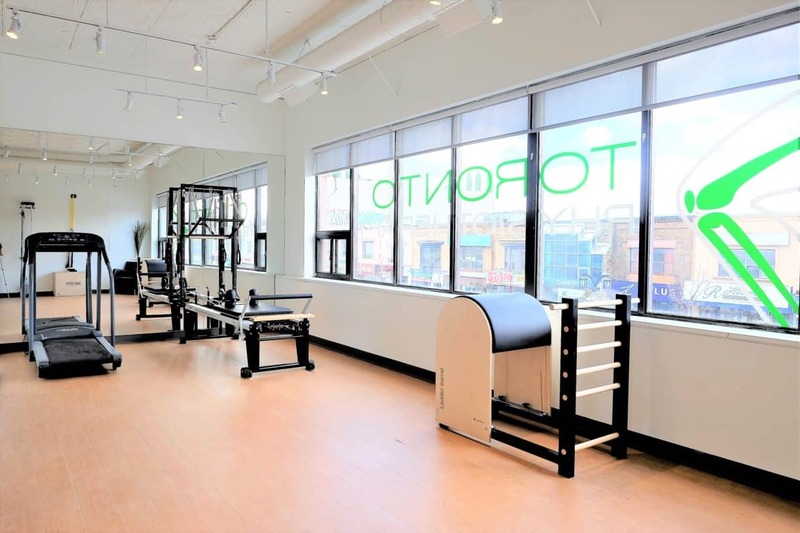 Toronto Physiotherapy is a premier provider of neurological rehabilitation in Midtown and East Toronto, and is conveniently located at Danforth and Chester, and Yonge and St. Clair. Visit the neurological rehabilitation section of our Rehab Science Blog to read our summaries of the latest news and research on neurological physiotherapy, or to access self-help articles.